Government: Joint territory with United Nations and Mars Congressional Republic with substantial corporate presence. Ganymede has enormous mirrors in orbit to direct sunlight to the greenhouse domes to allow the plants to grow in the shadow of Jupiter. The moon has many domes that grow different types of crops and all are manned by the 25 Million who reside in Ganymede Station. Ganymede Station was the first permanent human settlement in the belt. It is built as a long term colony with enormous domes with crops, and known as the safest station in the Jovian System. Ganymede is the "Breadbasket of the system" It is the food source for 40% of the Belt. It is also popular for child birth because it has the lowest recorded amounts of stillbirths and birth defects, many women come to Ganymede to deliver. 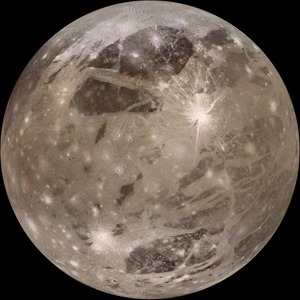 Ganymede is the center of what made human expansion to the belt possible. Ganymede was a Trojan boy of great beauty whom Zeus (Jupiter) carried off to be his lover and cupbearer to the gods. He had the job of filling the king's cup, namely a food-taster who tested the safety of anything that passes by the king's mouth. Due to his proximity, he was privy to many of his majesty's secrets. This page has been seen 825 times.